The Galaxy Fold, which is the first foldable phone from Samsung was made available for pre-orders this Sunday. As soon as the pre-orders for the phone commenced, the first batch of the device immediately was sold out. Priced at $2000 in the US market, the foldable smartphone was unveiled globally at Samsung's ‘Unpacked’ event earlier this year. Samsung Galaxy A70 Smartphone With Super AMOLED Display & Snapdragon 675 SoC Launched; Priced in India at Rs 28,990. The phone maker sent an official notification via email for the customers who reserved a device but failed to get one. The company mentioned in the mail that because of the overwhelming market response they no longer could purchase the Galaxy Fold. However, the phone maker will be keeping them notified whenever the device comes back into stock. There is no information how many units did Samsung retailed. The multiple colour options on the Samsung Galaxy Fold were initially available and within couple of hours all the choice were sold out. A new market report claims that Samsung will be launching the foldable smartphone in the Indian market by next month. The device could be launched by the second half of next month, but there is no official India launch date from Samsung yet. Samsung's New Galaxy A80 Phone Features New Infinity Full-Screen Display & 48MP Rotating Camera. 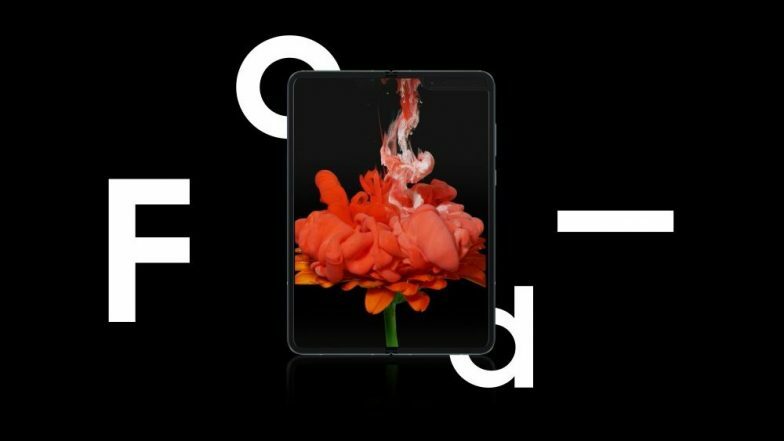 As far as the specifications are concerned, the new Galaxy Fold comes with a dual display, which is called as Flex display. The primary display is a 4.6-inch HD+ Super AMOLED screen whereas the secondary display is a 7.3-inch QXGA+ dynamic AMOLED screen. The phone is powered by Qualcomm Snapdragon 855 octa-core SoC that is clubbed with 12GB of RAM and 512GB storage.